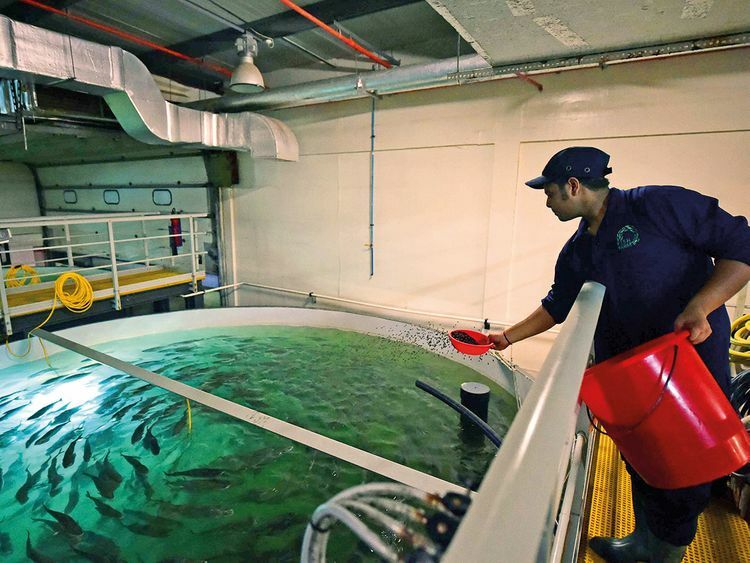 Dubai: At the heart of a James Bond-style facility in Jebel Ali lies a key component of the UAE’s food security programme: thousands and thousands of salmon, swimming in circles around enormous tanks. We’ve matched the cost of Irish imported salmon. Ours is cheaper, fresher, better likefor- like, and only has to travel 20 miles from Jebel Ali, as opposed to 4,500 miles.